SERVICE. JCSystems will provide you with dedicated access to the Internet, subject to the terms and conditions set forth herein (the “Service”). Speeds on the various plans will vary depending on many factors, including but not limited to distance from the local service provider’s central office, internet congestion, upload and download speed of your destination server. Service is provided in conjunction with a circuit provider, which may be your local phone company. The circuit provider retains the right to cancel the service before or after installation at their sole discretion at any time. Although pre-qualification provides a good measure of certainty regarding service availability, it is not a guarantee of service. We recommend waiting until service is installed and tested for a few weeks before assuming that service will be available and of good quality. PROVIDERS. The application of certain terms herein vary depending on whether the phone line or circuit for a Subscriber is AT&T (an “AT&T Subscriber”), Verizon (a “Verizon Subscriber”), or Covad (a “Covad Subscriber”). JCSystems breaks out each phone line or circuit for a Subscriber by Networks. A Subscriber in “Network 1” or “Network 2” is a AT&T Subscriber, a Subscriber in “Network 3” is a Verizon Subscriber, and a Subscriber in “Network 4” is a Covad Subscriber, and a Subscriber in “Network 6” is a Qwest Subscriber. SUBSCRIBER INFORMATION. You acknowledge that you are eighteen (18) years of age or older, and you agree that you have the legal authority to enter into this Agreement and affirm that the information you supply to us is correct and complete. You understand that JCSystems relies on the information you supply and that providing false or incorrect information may result in Service delays or the suspension or termination of your Service. You agree to promptly notify JCSystems whenever your personal or billing information changes, including without limitation, your name, address, telephone number, and credit card number and expiration date, if applicable. GENERAL PRICING AND FEES. JCSystems’s prices are shown in the Pricing Schedule and you will be charged based on the Plan and Options you select during the ordering process. A Subscriber who selects a “Month to Month” Plan (a “Monthly Subscriber”) will pay the monthly price(s) listed on the Pricing Schedule corresponding to the Plan and Options chosen by such Monthly Subscriber at the time of order. However, such monthly prices are subject at any time to increase to JCSystems’s then current prices. A Subscriber who selects a “1 Year Contract” Plan (an “Annual Subscriber”) will pay the monthly price(s) listed on the Pricing Schedule corresponding to the Plan and Options chosen by such Annual Subscriber at the time of order. Such monthly prices for Annual Subscribers are guaranteed for the initial twelve (12) month Term. Following the initial twelve (12) month Term, an Annual Subscriber will automatically become a Monthly Subscriber and will pay JCSystems’s then current prices, subject to increase as described above, unless such Subscriber registers for a new “1 Year Contract” Plan at such time, to the extent available. An Annual Subscriber may upgrade or downgrade their DSL Service to a different speed plan during their initial (12) month Term. Any such Annual Subscriber so upgrading or downgrading may, at the time of upgrade or downgrade, select either (a) a “Month to Month” rate, in which case such Subscriber shall continue to be subject to all of the terms and conditions of this Agreement for the remainder of such Subscriber’s initial twelve (12) month Term and following such initial Term, such Subscriber will automatically become a Monthly Subscriber and will pay JCSystems’s then current prices, subject to increase as described above, unless such Subscriber registers for a new “1 Year Contract” Plan at such time, to the extent available or (b) a “1 Year Contract” Plan, in which case such Subscriber’s initial twelve (12) month Term shall restart on the date of such upgrade, provided that such Subscriber shall continue to be subject to all of the terms and conditions of this Agreement for the period prior to such upgrade or downgrade. In addition to regular fees set forth in the Pricing Schedule, you agree to pay all other charges, including but not limited to applicable taxes, network usage and surcharges, including charges imposed against JCSystems by third party providers that it passes on to you. The taxes and surcharges may vary on a monthly basis; any variations will be reflected in your monthly charge. The current Supplier Surcharge Recovery is one dollar and ninety-three cents ($1.93) for all clients. Texas Residents are also subject to an Internet Tax on all monthly services of eight and three-tenths percent (8.3%) after the first twenty-five dollars ($25.00). When possible, JCSystems will break out such charges on the monthly invoice. You may change your plan speed at any time. A fifty dollar ($50.00) downgrade fee will apply to any AT&T Subscriber, Verizon Subscriber, or Qwest Subscriber who downgrades their speed. A ninety-nine dollar ($99.00) fee will apply to any Covad Subscriber who upgrades or downgrades their speed. A fifty dollar ($50.00) fee will apply to any Subscriber who switches from a Static IP to a Dynamic IP. Promotional packages are only available to first time JCSystems Subscribers. SETUP AND ACTIVATION FEES. Upon entering into this Agreement, a non-refundable setup fee will apply to all Monthly Subscribers. Upon entering into this Agreement, a non-refundable activation fee of one hundred dollars ($100.00) will apply to all Annual Covad Subscribers. PAYMENT, LATE FEES AND OTHER CHARGES. There is no money back guarantee for any Services unless specifically written in a special one time promotion. There are no pro-rated refunds for unused time. Unless otherwise stated in the Pricing Schedule, JCSystems will invoice Subscribers monthly. Invoices will be on a full calendar month basis. New Subscribers who enter into this Agreement after the first day of any month will be billed on a pro-rated basis for their first month of Service and thereafter on a full calendar month basis. Subscribers agree to pay within twenty (20) days from receipt of an invoice. If a Subscriber does not pay an invoice within such twenty (20) day period, JCSystems may deny, discontinue or otherwise suspend such Subscriber’s Service until full payment is received. Subscribers are responsible for paying monthly subscription fees while Services are suspended due to non-payment. All accounts suspended for non-payment are subject to a ten dollar ($30.00) re-activation fee. Subscribers are responsible for any disputed charges beyond sixty (60) days from the date of the charge. Any account which goes into collection status will be transferred to a collection agency and incur a twenty-five dollar ($25.00) processing fee and all other applicable fees and charges. Subscribers must pay a twenty-five dollar ($25.00) service charge on all returned checks, disputed credit cards, and credit card chargebacks. Past due accounts will accrue a monthly charge of one and one-half percent (1.5%) of the past due balance or one dollar ($1.00), whichever is greater. TERM. This Agreement is effective upon Subscriber’s acceptance as provided above and shall continue until terminated by Subscriber or JCSystems pursuant to this Agreement. Each Monthly Subscriber is on automatically renewing monthly terms beginning on the first day of each calendar month (or, for the first monthly term, the full or partial month beginning with Subscriber’s acceptance as provided above). An Annual Subscriber is on a twelve (12) month term beginning on the day such Subscriber accepts the terms of this Agreement as provided above. An Annual Subscriber who upgrades or downgrades to a “Month to Month” rate during their initial twelve (12) month Term pursuant to section 4, shall continue to be on the same twelve (12) month Term. An Annual Subscriber who upgrades or downgrades to a “1 Year Contract” Plan during their initial twelve (12) month Term pursuant to section 4, shall begin a new initial twelve (12) month Term on the date of such upgrade. Following the initial twelve (12) month Term, an Annual Subscriber will automatically become a Monthly Subscriber. TERMINATION BY SUBSCRIBER. Subscriber may terminate this Agreement at any time for any reason by providing JCSystems with a thirty (30) day written notice in the form of a valid written termination request and paying all fees and other charges accrued or otherwise payable under the terms of this Agreement. Such thirty (30) day period begins on the date on which JCSystems receives Subscriber’s valid written termination request. A Monthly Subscriber’s termination will be effective on the later of (a) the end of last day of the calendar month during which such thirty (30) day period ends (e.g., a valid written termination request received by JCSystems any time during January will result in termination effective at the end of February) or (b) the end of last day of the calendar month requested by the Monthly Subscriber. An Annual Subscriber’s termination, if received by JCSystems at least thirty (30) days prior to the end of their twelve (12) month term, will be effective at the end of such twelve (12) month term, unless such Annual Subscriber requests an earlier date. Notwithstanding the foregoing provisions of this section 11, if JCSystems receives a written termination request from a Subscriber, JCSystems may, in its sole discretion, terminate this Agreement on a date earlier than the date otherwise prescribed by this section 11. If this Agreement is terminated prior to the end of an Annual Subscriber’s twelve (12) month term, such Annual Subscriber must pay, in addition to all fees and other charges accrued or otherwise payable under the terms of this Agreement, an early termination fee in the amount of two hundred and fifty dollars ($250.00) (“Early Termination Fee”). In the event an Annual Subscriber terminates this Agreement prior to the end of their twelve (12) month term because of a service-related problem not caused by the Subscriber that JCSystems has failed to cure after what JCSystems determines in its sole discretion to be a reasonable amount of time based on the circumstances, the Subscriber is entitled to a waiver of the Early Termination Fee. For such waiver to apply, the reason for the waiver stated above must have occurred before termination and the Subscriber must report such reason for termination to JCSystems in its valid written termination request. JCSystems must in turn be given the opportunity to resolve the problem and the Subscriber must be willing to troubleshoot with JCSystems as well as be available for and authorize the dispatch of a network provider technician. JCSystems does not monitor Subscriber accounts for activity, and absence of activity or cancellation of a Subscriber’s telephone number will never constitute a termination request. A written termination request is valid only if it includes your DSL phone number, main username, date you wish the service to be cancelled and the reason for canceling and is submitted via email to jsmith@jcsystemsconsulting.com. TERMINATION BY JCSystems. If, in JCSystems’s sole discretion, (a) a Subscriber is in breach of any of the terms of this Agreement (including but not limited to the Acceptable Use Policy); (b) a Subscriber’s use of the Service is prohibited by law or is disruptive to, adversely impacts or causes a malfunction to the Service, JCSystems’s servers or other equipment, or the use and enjoyment of other users; (c) a Subscriber acts in an abusive or menacing manner when dealing with JCSystems’s technical support staff, customer service staff or any other JCSystems employees or representatives; (d) JCSystems receives an order from a court to terminate a Subscriber’s Service; or (e) JCSystems for any reason ceases to offer the Service, then JCSystems at its sole election may terminate or suspend such Subscriber’s Service immediately without notice. For a termination in accordance with this paragraph, Subscriber remains liable for all unpaid fees and other charges accrued or otherwise payable under the terms of this Agreement, including without limitation the Early Termination Fee and equipment charges set forth herein, if applicable. TERMINATED SUBSCRIBER. JCSystems, in its sole discretion may refuse to accept a Subscriber’s application for renewal or resubscription following a termination or suspension of such Subscriber’s use of the Service. If a Subscriber’s Service is terminated for any reason, such Subscriber, upon approval by JCSystems, may enter into a new Agreement and must pay a new setup or activation fee as provided above. Upon the termination of a Subscriber’s use of the Service, JCSystems has the right to immediately delete all data, files and other information stored in or for the Subscriber’s account without further notice to the Subscriber. SPEED OF SERVICE. Speed rate depends upon the Subscriber’s Plan and line capabilities (e.g., loop length, line condition, gauge of copper wire and Phone Company provisioning). The maximum speed for ADSL is stated under optimal conditions and may vary significantly. Speeds are subject to a 20% overhead (e.g., 768k stated speed = 768k times 80% throughput = 614k actual speed). Minimum speeds are offered for a AT&T Subscriber and are based on the package’s listed minimum speed minus 20% overhead (e.g., 384-1500k/128-256k stated speed = 384k times 80% throughput = 307k actual speed.) Actual speeds that fit the 80% of the minimum throughput criteria are considered acceptable. A Verizon, Covad or Qwest Subscriber has no minimum speeds. All Services are provided on an AS IS basis and throughput speeds are not guaranteed. EASY ISP CHANGE FOR AT&T SUBSCRIBERS. Completing the AT&T ISP change form authorizes AT&T to terminate DSL service with your current Internet service provider and further authorizes AT&T to establish DSL service with JCSystems. Opting to use the ISP change process will reduce or eliminate the amount of downtime that you may experience when switching from your current Internet service provider to JCSystems. Most Subscribers experience less than twenty four (24) hours of downtime during this process but overall downtime can be between zero (0) and four (4) business days. You are responsible, and you hold JCSystems harmless, for any and all early termination, cancellation or other fees, charges or obligations resulting from your change of Internet service provider. INSTALLATION. Unless otherwise requested by the Subscriber, the first available installation date will be provided. Any installation date provided to a Subscriber is only an estimate and is no way a guaranteed installation date. Subscribers understand and agree that circumstances may arise which delay a Subscribers estimated installation date and any such delay will not be considered a breach of this Agreement by JCSystems. Payment for your initial month’s service (and if applicable: setup fees, installation fees, and equipment) must be received prior to your turn-on date in order for your setup instructions and IP information to be released to you. If your payment is not received by your turn-on date, you will be responsible for the service fees even though your IP and setup information has not been provided to you. A Subscriber’s computer must be equipped with an Ethernet Network Interface (NIC) card for proper DSL operation. JCSystems does not include a PCI NIC card as part of the modem package, but can install or add one for an additional fee. SELF-INSTALLATION. Self-installation allows the Subscriber to install their DSL equipment. This option provides service to the minimum point of entry (“MPOE”) of your phone service. Your MPOE is normally located outside your building. Inside wiring and inside wiring repair is not included with this option. If inside wiring or inside wiring repair is required, you must contract with your circuit provider or other professional for such work at your own cost. Faulty inside wiring is not grounds for cancellation of your contract. Multi-line phones, phone systems, alarm system or special phone configuration may require a professional installation or special multi-line phone filters. JCSystems does not provide nor is responsible for any special equipment including but not limited to a POTS splitter or multi-line phone filters. A required professional installation, need for special equipment in order to establish a connection or an incompatible phone line or phone system is not grounds for cancellation of your contract. A sixty dollar ($60.00) transfer fee will apply to any AT&T or Verizon Subscriber and a one hundred dollar ($100.00) transfer fee will apply to any Covad or Qwest Subscriber who must transfer their service to a standard phone line due to an incompatible phone line or phone system. PROFESSIONAL INSTALLATION. Subscribers may request a Professional Installation for a one-time fee of two hundred dollars ($200.00) in the case of an AT&T Subscriber, and one hundred forty-nine dollars ($199.00) in the case of a Qwest Subscriber. The Professional Installation includes setup of Subscriber’s DSL modem only, including inside wiring if needed. It does not include installation of Subscriber’s network card or setup of Subscriber’s computer. Professional Installations are not available to Verizon Subscribers. If a Verizon Subscriber requires a Professional Installation it is the Subscriber’s responsibility to hire a third party technician. SUBSCRIBER SUPPLIED MODEM. If a Subscriber supplies their own modem, the Subscriber assumes the risk of service incompatibility. Incompatible Subscriber modems or other Subscriber equipment shall not relieve Subscribers from any of their obligations under this Agreement while troubleshooting defective or incompatible equipment even if Subscriber’s Service is down during such periods of troubleshooting. SUBSCRIBER PREMISE EQUIPMENT. The PPPoE connection will allow one computer to use your DSL connection. Static IP accounts include a DSL bridge which can be used ahead of one computer or router provided by you. JCSystems does not provide support for router(s), unless under scope of work. All packages include basic instructions and support. TECHNICAL SUPPORT. JCSystems assumes that the Subscriber has a basic understanding of their computer. JCSystems will not train you in basic computer skills (e.g., deleting files or creating directories). Technical support is intended to facilitate the setup of your properly functioning computer system for access to our services. Your computer must recognize your modem or network card, and receive a dial tone or network link connectivity before any technical support will be dispensed. Our technical support staff is not trained to, has no obligation to and will not assist you in installing and/or troubleshooting modems, network cards, routers, complex network configurations or telephone lines, neither will they provide any technical assistance or support for any third party Software. JCSystems is not responsible for connection problems due to a computer that is infected with viruses, spyware or malware. It is the Subscriber's responsibility to initiate and be available for technical support during JCSystems's hours of operation. If a Subscriber wishes to utilize JCSystems's technical support, the Subscriber must be available to help troubleshoot the connection or computer setup. JCSystems does not provide on-site technical support. However phone company technicians may be dispatched to troubleshoot the circuit with a Subscriber's approval. The Subscriber is solely responsible for all charges involved with dispatching a technician to troubleshoot their line. For AT&T Subscribers and Verizon Subscribers, charges are currently sixty dollars ($120.00) per visit or truck roll which includes one-half (1/2) hour of work and thirty-five dollars ($35.00) for each additional one-half (1/2) hour of work. For Covad Subscribers, charges are currently ($175.00) per visit which includes one-half (1/2) hour of work. For Qwest Subscribers, charges are currently ($100.00) per visit which includes one-half (1/2) hour of work. All such charges are subject to change with no prior notice. Subscriber understands and agrees that any such technician or other person dispatched to troubleshoot Subscriber's line is not an employee or agent of JCSystems and JCSystems is not liable for any damages, costs or expenses relating to or arising from any acts, errors or omissions by any such technician or other person. MAINTAINING CURRENT TELEPHONE SERVICE. DSL service shares the Subscriber’s current telephone line and service. It is the Subscriber’s sole responsibility to maintain the phone line and phone number of original installation in continuous working order with the local phone company in order to receive the Services. A Subscriber who disconnects telephone service remains responsible for monthly service fees, Early Termination Fees and all other fees, charges and other obligations provided for in this Agreement. A sixty dollar ($60.00) transfer fee will apply to any AT&T or Verizon Subscriber and a one hundred dollar ($100.00) transfer fee will apply to any Covad or Qwest Subscriber who changes their current telephone service. This includes but is not limited to change of phone number, change of phone line or change of service location. A change in phone service will result in downtime while service is reestablished. IP ADDRESSES. Each Subscriber is allowed one (1) computer device per IP address. Upon expiration, cancellation or termination of this Agreement, a Subscriber must relinquish any IP addresses or address blocks assigned to them by JCSystems. JCSystems may choose to assign any Subscriber a new IP address at any time. ACCEPTABLE USE. Subscriber agrees to use the DSL Service in accordance with JCSystems’s acceptable use policy (“Acceptable Use Policy”) published at http://www.jcsdsl.com/. JCSystems reserves the right to make changes to the Acceptable Use Policy without notice. WARRANTIES AND LIMITATIONS OF LIABILITY. YOU ACKNOWLEDGE AND AGREE THAT THE SERVICE, EQUIPMENT AND SOFTWARE SUPPLIED HEREUNDER IS PROVIDED ON AN “AS IS” OR “AS AVAILABLE” BASIS, WITH ALL FAULTS. EXCEPT AS OTHERWISE SPECIFICALLY SET FORTH IN THIS AGREEMENT AND AS OTHERWISE SPECIFICALLY SET FORTH IN ANY MANUFACTURER WARRANTY FOR ANY SOFTWARE OR EQUIPMENT PROVIDED BY JCSystems (BUT ONLY IF SUCH WARRANTY IS INCLUDED WITH SUCH SOFTWARE OR EQUIPMENT). JCSystems (AND ITS OFFICERS, EMPLOYEES, PARENT, SUBSIDIARIES, AND AFFILIATES), ITS THIRD PARTY LICENSORS, PROVIDERS AND SUPPLIERS DISCLAIM ANY AND ALL WARRANTIES FOR THE SERVICE, SOFTWARE AND EQUIPMENT WHETHER EXPRESS OR IMPLIED, INCLUDING BUT NOT LIMITED TO THE IMPLIED WARRANTIES OF MERCHANTABILITY AND FITNESS FOR A PARTICULAR PURPOSE, ACCURACY, NON-INFRINGEMENT, NON-INTERFERENCE, TITLE, COMPATIBILITY OF COMPUTER SYSTEMS, INTEGRATION, AND THOSE ARISING FROM COURSE OF DEALING, COURSE OF TRADE, OR ARISING UNDER STATUTE. NO ADVICE OR INFORMATION GIVEN BY JCSystems OR ITS REPRESENTATIVES SHALL CREATE A WARRANTY. USE OF JCSystems TECHNICAL SUPPORT IS AT YOUR OWN RISK AND IS NOT WARRANTED. JCSystems DOES NOT WARRANT OR GUARANTEE THAT DSL SERVICE CAN BE PROVISIONED TO YOUR LOCATION, OR THAT PROVISIONING WILL OCCUR ACCORDING TO A SPECIFIED SCHEDULE, EVEN IF JCSystems HAS ACCEPTED YOUR ORDER FOR DSL SERVICE. THE PROVISIONING OF DSL SERVICE IS SUBJECT TO CIRCUIT AVAILABILITY AND OTHER FACTORS, INCLUDING WITHOUT LIMITATION, LOOP LENGTH, THE CONDITION OF YOUR TELEPHONE LINE AND WIRING INSIDE YOUR LOCATION, AND YOUR COMPUTER/DEVICE CONFIGURATION AND CAPABILITIES, AMONG OTHER FACTORS. IN THE EVENT YOUR LINE IS NOT PROVISIONED FOR ANY REASON, NEITHER YOU NOR JCSystems SHALL HAVE ANY DUTIES OR OBLIGATIONS UNDER THIS AGREEMENT (OTHER THAN YOUR OBLIGATION TO RETURN ANY JCSystems -PROVIDED EQUIPMENT, PURSUANT TO THE TERMS OF THIS AGREEMENT). JCSystems DOES NOT WARRANT THAT THE SERVICE, SOFTWARE OR EQUIPMENT PROVIDED BY JCSystems WILL PERFORM AT A PARTICULAR SPEED, BANDWIDTH OR DATA THROUGHPUT RATE, OR WILL BE UNINTERRUPTED, ERROR-FREE, SECURE, OR FREE OF VIRUSES, WORMS, OR THE LIKE. JCSystems SHALL NOT BE LIABLE FOR LOSS OF YOUR DATA, OR IF CHANGES IN OPERATION, PROCEDURES, OR SERVICES REQUIRE MODIFICATION OR ALTERATION OF YOUR EQUIPMENT, RENDER THE SAME OBSOLETE OR OTHERWISE AFFECT ITS PERFORMANCE. JCSystems MAKES NO WARRANTY REGARDING ANY TRANSACTIONS EXECUTED USING THE SERVICE, THE SOFTWARE, THE EQUIPMENT OR THE INTERNET. JCSystems MAKES NO WARRANTY REGARDING THE CONTENT AND INFORMATION ACCESSED BY USING THE SERVICE, THE SOFTWARE, THE EQUIPMENT OR ANY LINKS DISPLAYED. YOU EXPRESSLY ASSUME ALL RISK AND RESPONSIBILITY FOR USE OF THE SERVICE, THE SOFTWARE, THE EQUIPMENT AND THE INTERNET GENERALLY. YOU AGREE NOT TO USE THE SERVICE, THE SOFTWARE OR THE EQUIPMENT IN ANY HIGH RISK ACTIVITIES WHERE DAMAGE OR INJURY TO PERSON, PROPERTY, ENVIRONMENT, OR BUSINESS MAY RESULT IF AN ERROR OCCURS. IN NO EVENT SHALL JCSystems (OR ITS OFFICERS, EMPLOYEES, PARENT, SUBSIDIARIES, OR AFFILIATES), ITS THIRD PARTY LICENSORS, PROVIDERS OR SUPPLIERS BE LIABLE FOR: (A) ANY DIRECT, INDIRECT, SPECIAL, CONSEQUENTIAL OR INCIDENTAL DAMAGES, INCLUDING WITHOUT LIMITATION, LOST PROFITS OR LOSS OF REVENUE OR DAMAGE TO DATA ARISING OUT OF THE USE, PARTIAL USE OR INABILITY TO USE THE SERVICE, THE SOFTWARE OR THE EQUIPMENT, REGARDLESS OF THE TYPE OF CLAIM OR THE NATURE OF THE CAUSE OF ACTION, INCLUDING WITHOUT LIMITATION, THOSE ARISING UNDER CONTRACT, TORT, NEGLIGENCE OR STRICT LIABILITY, EVEN IF JCSystems HAS BEEN ADVISED OF THE POSSIBILITY OF SUCH CLAIM OR DAMAGES, OR (B) ANY CLAIMS AGAINST YOU BY ANY OTHER PARTY. ALL LIMITATIONS AND DISCLAIMERS STATED IN THIS SECTION 30 ALSO APPLY TO JCSystems’S THIRD PARTY LICENSORS, PROVIDERS AND SUPPLIERS AS THIRD PARTY BENEFICIARIES OF THIS AGREEMENT. ANY RIGHTS OR LIMITS STATED HEREIN ARE THE MAXIMUM FOR WHICH JCSystems (AND ITS OFFICERS, EMPLOYEES, PARENT, SUBSIDIARIES, AND AFFILIATES), JCSystems’S THIRD PARTY LICENSORS, PROVIDERS AND SUPPLIERS ARE COLLECTIVELY RESPONSIBLE. WITHOUT (A) INCREASING ANY OF THE LIABILITIES OR OTHER OBLIGATIONS JCSystems (OR ITS OFFICERS, EMPLOYEES, PARENT, SUBSIDIARIES OR AFFILIATES), ITS THIRD PARTY LICENSORS, PROVIDERS OR SUPPLIERS ARE OTHERWISE SUBJECT TO PURSUANT TO THIS AGREEEMNT OR SUBJECTING JCSystems (OR ITS OFFICERS, EMPLOYEES, PARENT, SUBSIDIARIES OR AFFILIATES), ITS THIRD PARTY LICENSORS, PROVIDERS OR SUPPLIERS TO ANY ADDITIONAL LIABILITIES OR OTHER OBLIGATIONS OR (B) INCREASING ANY OF THE RIGHTS YOU ARE OTHERWISE ENTITLED TO PURSUANT TO THIS AGREEMENT OR PROVIDING YOU WITH ANY ADDITIOINAL RIGHTS, THE MAXIMUM AGGREGATE LIABILITY OF JCSystems (AND ITS OFFICERS, EMPLOYEES, PARENT, SUBSIDIARIES AND AFFILIATES), ITS THIRD PARTY LICENSORS, PROVIDERS AND SUPPLIERS FOR DAMAGES HEREUNDER SHALL NOT EXCEED THE UNUSED PORTION OF YOUR PREPAID FEES, IF ANY. LINKS. JCSystems or third parties may provide links to websites other than http://www.jcsdsl.com or other resources. Because JCSystems has no control over such websites and resources, you acknowledge and agree that JCSystems is not responsible for the availability of such external sites or resources and does not endorse and is not responsible or liable for any content, advertising, products, or other materials on or available from such websites or resources. You further acknowledge and agree that JCSystems will not be responsible or liable, directly or indirectly, for any damage or loss caused or alleged to be caused by or in connection with use of or reliance on any such content, goods or services available on or through any such website or resource. INDEMNIFICATION. You agree to defend, indemnify and hold harmless JCSystems from and against all liabilities, costs and expenses, including reasonable attorney’s fees, related to or arising from: (a) any violation of applicable laws, regulations or this Agreement by you (or any parties who use your account, with or without your permission, to access the Service); (b) the use of the Service, the Software, the Equipment or the Internet or the placement or transmission of any message, information, software or other materials on the Internet by you (or any parties who use your account, with or without your permission, to access the Service); (c) negligent acts, errors, or omissions by you (or any parties who use your account, with or without your permission, to access the Service); (d) injuries to or death of any person and for damages to or loss of any property, which may in any way arise out of or result from or in connection with this Agreement, except to the extent that such liabilities arise from the active negligence or willful misconduct of the other party; or (e) claims for infringement of any intellectual property rights arising from the use of the Service, the Software, the Equipment or the Internet. REVISIONS. JCSystems may revise the terms and conditions of this Agreement from time to time (including any of the policies which may be applicable to usage of the Service) by posting such revisions to our website at http://www.jcsdsl.com/. Subscribers agree to visit this page and the links thereon periodically to be aware of and review any such revisions. Increases to the monthly price of the Service for Monthly Subscribers shall be effective beginning with the calendar month following the calendar month in which such increases are posted. Revisions to any other terms and conditions shall be effective upon posting. By continuing to use the Service after revisions are in effect, a Subscriber accepts and agrees to the revisions and to abide by them. Any Subscriber who does not agree to the revision(s) must terminate their Service immediately. ASSIGNMENT. You agree not to assign or otherwise transfer, this Agreement in whole or in part, including the Software or your rights or obligations under it. Any attempt to do so shall be void. JCSystems may assign all or any part of this Agreement without notice and you agree to make all subsequent payments as directed. CHOICE OF LAW. You and JCSystems agree that the substantive laws of the State of California, without reference to its principles of conflicts of laws, will be applied to govern, construe and enforce all of the rights and duties of the parties arising from or relating in any way to the subject matter of this Agreement. YOU AND JCSystems CONSENT TO THE EXCLUSIVE PERSONAL JURISDICTION OF AND VENUE IN A COURT LOCATED IN TUOLUMNE COUNTY, CALIFORNIA FOR ANY SUITS OR CAUSES OF ACTION CONNECTED IN ANY WAY, DIRECTLY OR INDIRECTLY, TO THE SUBJECT MATTER OF THIS AGREEMENT OR TO THE SERVICE. 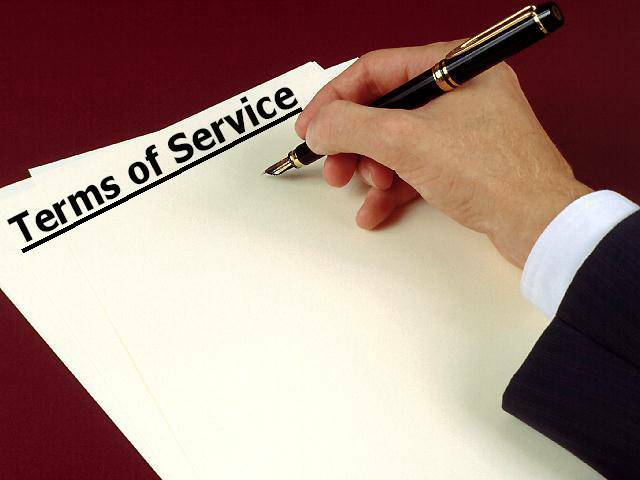 Except as otherwise required by law, including California laws relating to consumer transactions, any cause of action or claim you may have with respect to the Service must be commenced within one (1) year after the claim or cause of action arises or such claim or cause of action is barred. COMPLIANCE. JCSystems’s failure at any time to insist upon strict compliance with any of the provisions of this Agreement in any instance shall not be construed to be a waiver of such terms in the future. If any provision of this Agreement is determined to be invalid, illegal or unenforceable, the validity, legality, and enforceability of the remaining provisions shall not in any way be affected or impaired thereby, and the unenforceable portion shall be construed as nearly as possible to reflect the original intentions of the parties. THINGS BEYOND JCSystems’S CONTROL. JCSystems will not be liable for delays, damages or failures in performance due to causes beyond its reasonable control, including, but not limited to, acts of a governmental body, acts of God, acts of third parties, fires, floods, strikes or other labor-related disputes, of other things we do not control, or an inability to obtain necessary equipment or services. ENTIRE AGREEMENT. This Agreement, including all policies posted on JCSystems’s website, which are fully incorporated into this Agreement by reference, constitutes the entire agreement between you and JCSystems with respect to the subject matter hereto and supersedes any and all prior or contemporaneous agreements whether written or oral. Any changes by you to this Agreement, or any additional or different terms in your purchase orders, acknowledgements or other documents, written or electronic, are void. NOTICE. Notices by JCSystems to you shall be deemed given: (a) when sent to your JCSystems or JCSDSL email address, (b) when deposited in the United States mail addressed to you at the address you have specified in your account options or (c) when hand delivered to your home, as applicable. Copyright 2009 JCS, JCSystems Consulting and JCSystems. All rights reserved.